Owned 41 vehicles (10 New) over the last 42 years - 35 Mopars. Non Mopars were mostly when I was overseas. I was living back in the UK and I was 17 years old (legal age for driving there). 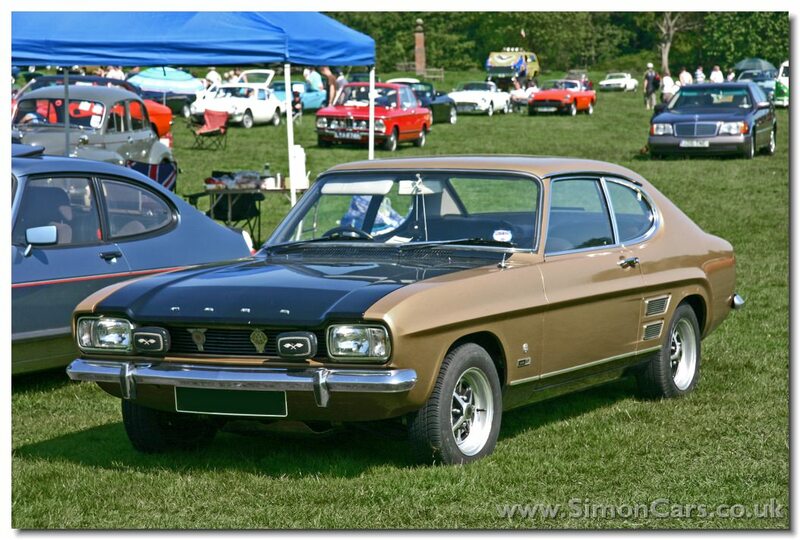 my first car was a 1974 Ford Capri. It had a 2.0 V4 engine and the back of that thing would just slide out at every opportunity ! !...At that time it was considered a pretty "fast" car for a new driver, most of my buddies were driving around in cars with 1100 cc engines ! U-connect theater. Tri-pane roof. Verde Invictus 22"
Quite a few custom modifications and lots more to come . My first car I bought was an 1986 VW golf. Bought it for $75 and put a $25 water pump on it. Drove it 1000 miles and the transmission locked up in 4th. Drove it to the junk yard stuck in 4th,roasting the clutch at every stop sign to get it going. Miss that car. First Car 1969 Plymouth Road Runner 383 4-Speed in 1976 when I was 15. My buddy inherited his dad's 69 road runner when he was 16. His dad never got to run it at the track sadly. 500 CI, indy heads, tubbed with huge slicks, 12pt cage, ran 10.8 in the quarter before being tuned on a dyno. My first experience of real speed was in that car 18 years ago. My buddy still has it. Fiancé/wife bought a Saturn SL2 sedan their first model year, I got a hand me down Toyota Tercel hatchbatch manual transmission, from my sister in law as a family graduation gift, 8 years old, had lots of miles on it but I put many more. Had lots of life in it and got great mileage, but It got totaled when Hurricane Fran dropped a tree on the roof, popped all four tires shattered all glass, lost a nice stroller in the trunk and car seat too. First purchase we made together, to replace the Tercel, was a 1996 Ford Windstar, that was a nice one but we had to replace the engine and transmission. This had the big heavy seats that you had to remove, and no driver side sliding door, the Dodge Caravan was the leading minivan and winner of the cup holder war back then, the Ford had better crash rating and acceleration, but more of a no-frills kind of minivan at the time. It had a cassette deck! Last edited by GlenP; 10-19-2018 at 09:37 AM. My first car was a 1968 Austin America, purchased new for $1,800. It had a transverse mounted engine with front wheel drive, which was quite unusual for US cars at the time. But not unusual for the UK where these "minis" were very popular. I think almost all of my cars since then have had transverse engines with front wheel drive, including the PacHy. 2018 Molten Silver Pacifica Hybrid Limited purchased Nov 30, 2017. In 1960, while in college, I obtained a 1949 hand-me-down Plymouth 4-door, dark green, mouse fuzz gray seats, 3-on-a-tree shifter*, smooth as silk in-line six, AM radio, very good heater, leaky radiator, pine scent thingy hanging from mirror to disguise unknown odor, and a broken necker's knob*. *If you're younger than me (and most of you are! ), ask if you need these items explained. VanGo1 and craig like this. 1999 Accord, 1994 Accord, 1988 Accord . . .
. . . and others in the 'way back machine! Last edited by Waldo; 10-19-2018 at 11:05 AM. 1971 Toyota Corolla. Didn’t take care of it and it just kept on running. A 1956 Super 88 Olds back in 1965. Coolest thing was the (AM) radio that had a motorized tuner that could be driven across the stations "hands free" by a foot switch on the floor next to the high beam button....... Used to freak out the girls by pointing at the radio and having it move with that floor button! SUV? Minivan? What is it?